Finite groups, representations of groups and of related algebras. This follows on from the 2008 NZMRI Summer Workshop in Nelson the previous week (6-12 January 2008). The Joint Meeting of the New Zealand Mathematical Society and the American Mathematical Society is being held in Wellington the previous month (12-15 December 2007). 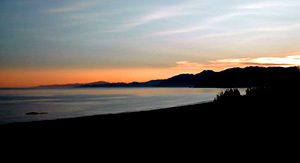 The Field Station is located on Kaikoura's Esplanade on the waterfront, within walking distance from the town centre. The teaching laboratory at the Edward Percival Field Station was built primarily to provide accommodation and laboratory facilities for University of Canterbury undergraduate field courses. More info on the Edward Percival Field Station can be obtained from their website. There is limited access to computers. Wireless is available for those with laptops. There will be invited talks and a limited number of contributed talks. The program will be relaxed, to allow plenty of time for discussions and collaboration. The conference begin on the morning of Monday 14 January and will finish around midday on Friday 18 January. Wednesday 16 January will be a free day. There will be one blackboard, one overhead projector and one data projector available for speakers. The conference program can be downloaded HERE. The abstracts can be downloaded HERE. Some financial assistance will be available to NZ graduate students. 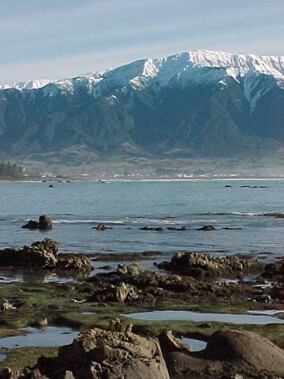 Kaikoura is roughly halfway between Christchurch (which has an international airport) and Blenheim on State Highway 1. It is approximately 2.5 hours from Christchurch and 1.75 hours from Blenheim, by car or train. A bus has been arranged to take participants from Christchurch to Kaikoura on the afternoon of Sunday January 13. It will leave the University of Canterbury Maths Department (Ilam Campus, cnr Science & Engineering Roads) at 3pm and will stop at Christchurch airport (coach park, end of international terminal), leaving the airport at 3:40pm. No transport has been arranged back to Christchurch at the end of the conference. There is also shared/backpacker style accommodation available at the Marine Lab. Spaces are limited and you will need your own sleeping bag. Contact Ben Martin to apply for this. Contact the organiser Ben Martin. Last updated 22 January 2007.